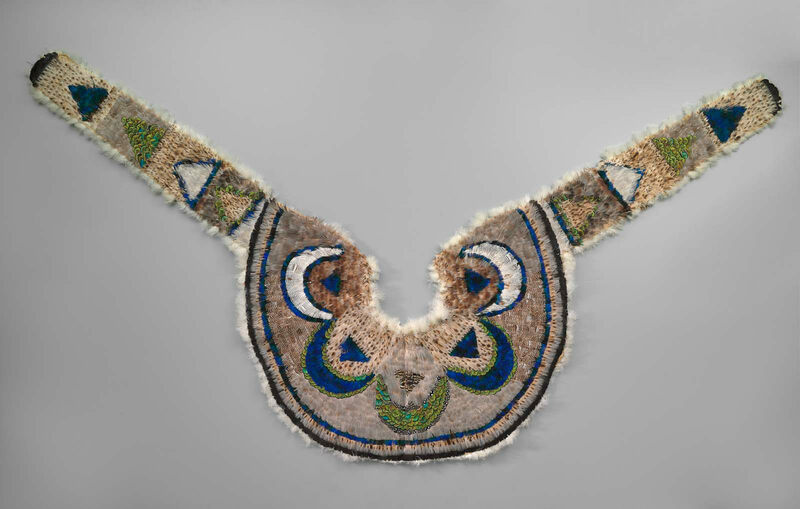 Circular cape with long ends, made of pale brown feathers ornamented a design of scallops and triangles of blue, iridescent blue and green, and darker brown feathers. The foundation is coarse linen (?) and the underside is tufted with eiderdown.